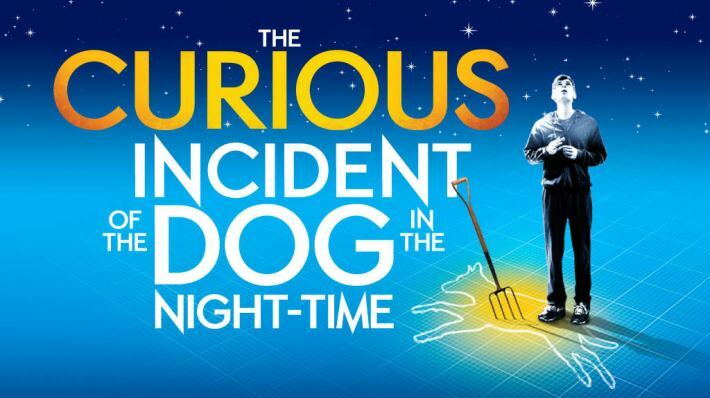 A few years back I read The Curious Incident of the Dog in the Night-Time by Mark Haddon, and immediately fell in love. It's a wonderful book about a boy named Christopher who has autism; he loves maths and outer space, and gets himself heavily involved in a big mystery about who killed his neighbour's dog. Recently it was turned into a stage play, and my mum got us tickets for Christmas so this week we toddled off to Liverpool to see it. I wasn't sure how exactly it would translate, but honestly they couldn't have done a better job. The boy who played Christopher was an astounding actor, and the director - Marianne Elliott - did something absolutely amazing to make it work. It was almost like a stage production and contemporary dance show rolled into one, and there wasn't an inch of the stage left unused. It started off a litttttle slow, but soon enough I was completely drawn into the story, and Joshua Jenkins did an incredible job of showing the audience what it's like inside the mind of an autistic young boy. He just got everything so right, and it was amazing to watch. He is so poignant to the point it almost being difficult to watch, demonstrating the distress of certain situations. It works superbly in the way that it's drawn out: Christopher's teacher reads the book he writes and decides to turn it into a play, and it's almost as if we're watching a dress rehearsal alongside some flashbacks and side-scenes. I've never written a review of a stage show before so I'm not entirely sure what to say; it's super noisy at times and there's flashing lights but it is a work of art in the best way possible. If you've read the book, like myself, or you haven't - like my mum - GO AND WATCH IT. I was just amazed and awestruck the entire time.